Emily has worked within paediatric inpatient, outpatient and community speech pathology since 2000. Over the last 12 years she has specialised in infant and paediatric feeding difficulties, working at both hospital and clinic settings in country South Australia, the United Kingdom and metropolitan Adelaide. 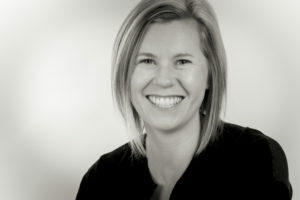 Prior to establishing Lively Eaters, Emily worked in her own paediatric private practice (Emily Lively Speech Pathology) and provided assessment and therapy for general speech and langauge delays and disorders, Autism and Asperger assessments, children with complex medical and development disorders and feeding difficulties. Until the end of 2012, Emily held the position of Senior Paediatric Speech Pathologist at Flinders Medical Centre responsible for feeding services in the Neonate unit, paediatric ward, paediatric out patient clinic, Child Assessment Team and cleft palate clinic. Her passion for assisting children with feeding difficulties led to the development of a private clinic specialising solely in this area. Emily’s experience includes extensive work within multi-disciplinary teams focusing on child development. She is currently enrolled in her Doctor of Philosophy (PhD – Flinders University, SA), researching within paediatric feeding and enteral tube weaning. She has lectured and been a tutor to the Bachelor of Speech Pathology degree at Flinders University (Adelaide, South Australia). Emily has been involved in writing problem based tutorials and lecturing at the University of Queensland. She has undertaken additional training in Autism Spectrum Disorders, Sensory Processing difficulties (including oral sensory defensiveness), paediatric videofluoroscopy (swallow study), infants in the Neonate Intensive Care Unit and Special Care Baby Unit, cleft palate/lip and specific feeding interventions. For 3 years she worked for and built up a private clinic in London for children with Down Syndrome (feeding and communication assessment and therapy). Emily believes feeding on its own cannot be assessed or addressed without looking at the complex interaction between environment, behaviour, medical, sensory and developmental skill. She prides herself on an holistic assessment process (including liaison with other professionals working with the child) that considers all of these factors to ensure the best possible outcomes for successful feeding in the family setting. Emily continues to be motivated, excited and amazed by the outstanding intervention outcomes achieved in both the Lively Eaters clinic and our unique Lively Eaters intensive feeding program. The children, babies and families continue to teach her so much.